The Museum of Furniture Studies is located in Stockholm at Magasin 6, Frihamnsgatan 50, in Frihamnen harbor. 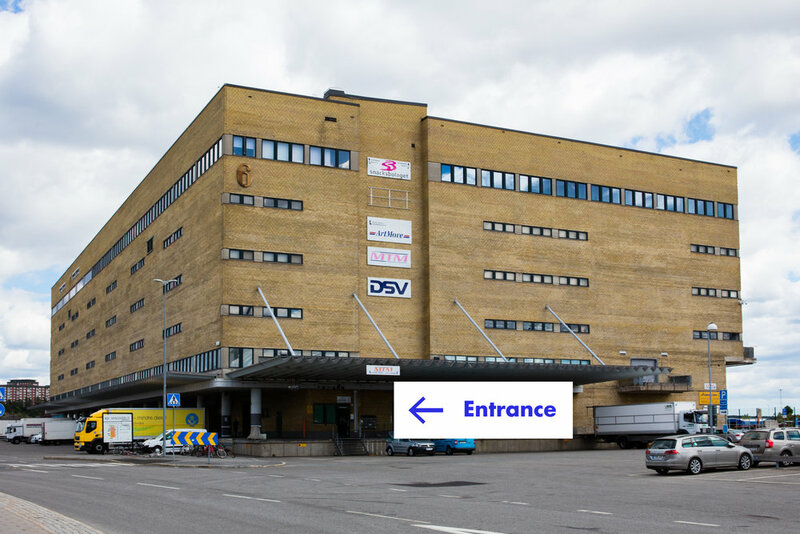 The warehouse was built between 1962 and 1967, designed by the architectural firm B. Alfreds & G. Larsens Arkitektbyrå. Today the building contains various businesses and archives. Nearest bus stop is Frihamnen station within a three minute walk from the museum. Bus lines are 1 or 76. Nearest subway station is Gärdet station. The subway is connected with the museum via bus line 1 towards Frihamnen. Private group tours are available, and special tours and workshops for students of design, architecture and crafts can also be arranged. The gallery can be hired for conferences, meetings, concerts and other events. For more information and to make a booking, please contact us at info@mobeldesignmuseum.se or via phone: +46 727 15 05 25. Wednesdays 12.00 - 7:00 pm. Copyright © 2018 - All Rights Reserved. All content on this web site, such as text, graphics, images and videos is in the property of Sandin & Bülow Design AB and are protected by the Swedish law and international copyright laws. Please contact us before using any of our material in any way, shape or form.